The thick solid wood wall is very energy efficient. wood has no R value, its rated by U values ...any thing solid is U value, rock, water, concrete, solid wood. Pink fluff is R value (the pink panther invented it) its trapped air for hollow walls. I never understood how some thing that was also used as a furnace air filter, know for air easily passing thru ? is keeping you warm? Its not air tight! 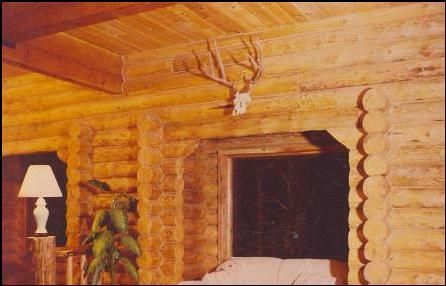 The 7” log was tested by HUD in 1981 to be up to 46% better than what FHA needed for the wall R value. The round 6” is only slightly less than the round 8” house log. 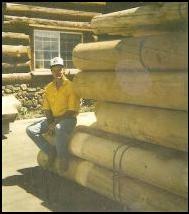 The 8” round log was the ultimate efficient discovered for a log wall, which tested slightly better than the 7 “ log. 7” is 90% of what we sell. 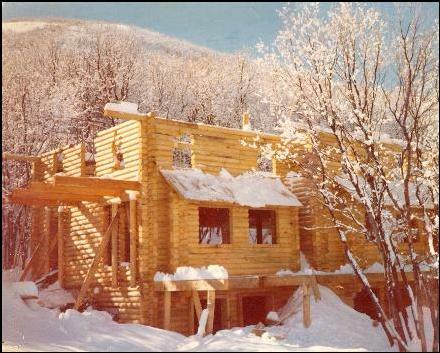 Solid wall homes is the most efficient wall you can have, simply because its absorbs all the heat or cold applied, stores it up , (U Value) and holds it in the solid wall system, “Thermal Inertia” U value. 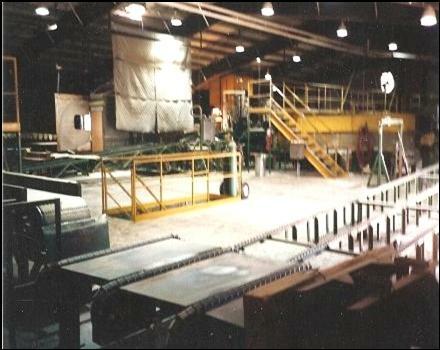 What’s it cost to make fiber glass insulation, Sheetrock, Paint? what a waste. So we mill an round 8” round log to a 7” round house log, then turn the chips into pellets. This is the best use of renewable, regrowable even recyclable source of wood. While we are helping keeping forests green remember our milling uses less electricity. 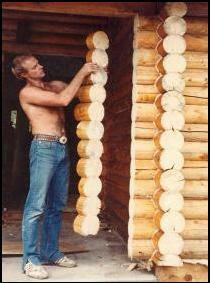 When making our house logs we use the least amount of energy to build a log. Take a Steel stud, there’s energy to dig the ore, transporting, smelting, cooling molding, rolling, folding shearing, hot dip galvanizing coating…. How much coal, oil, diesel to make a steel stud? Or even a 2x4 sawed from a round log, planed in Canada then shipped from Canada ? We mill a round log round. Keep in mind since about 1990 the Forest Service started limiting the taking of logs out of the woods, well intended environmentalist movement, so the sawmills have dried up, disappeared, logging trucks, jobs, sawmill equipment, tractors, skidders, all most all logging mills and heavy equipment shipped into Canada. Last I heard 75% of Americas lumber comes from Canada. Woody forest litter, dead wood, beetle kill, dry standing is called biomass is very abundant and these small logs is exactly what we use. The Forest Service will this year spend millions paying loggers to thin, prune, make slash piles of brush & burn. They also have to building roads, fire breaks, maintaining infrastructure. More millions actually fighting the fires paying for losses. Then fire moves onto the private property. Then the loss of life! The forest service cut back on selling timber to sawmills 30 years ago, so it grows, stands until it falls laying in the woods to rot, dead, drying, forests building up the fuels supply. 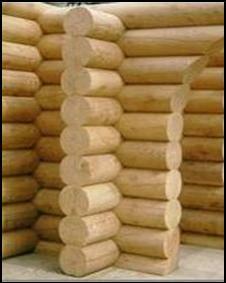 The USDA is trying to utilize the Biomass but there is no market for it yet, but we can use allot of small logs. 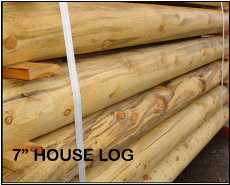 Doug fir is the strongest of all softwoods in North America, has a reddish color. The Lodge pole grows strait, few branches, knots, it has 6 beautiful colors, a firm wood easily killed by bark beetles and fire. The wood is dried to 6% before milling, this insures 95% of any and all changes in the log caused by the drying process including twisting, checking, splitting, and shrinking have taken place before we mill it round and cove the fit. Kiln dried is only 19% or less so if you buy lumber from a retailer your getting lumber with 3 times more moisture that what we mill at! 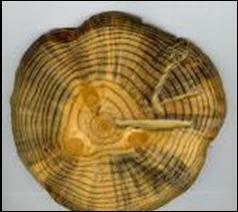 Wood does not start changing dimensionally when drying until it hits 30% moisture. So at 20% your wood barely begins to shrink. So to eliminate settling, leaky walls, bugs, vermin start bone dry wood! Don’t worry...Solid wood wont stay ablaze by its self when burning it needs fuel to aid it to burn. Solid wood walls wont stay ablaze all by them self, they need fuel to start. 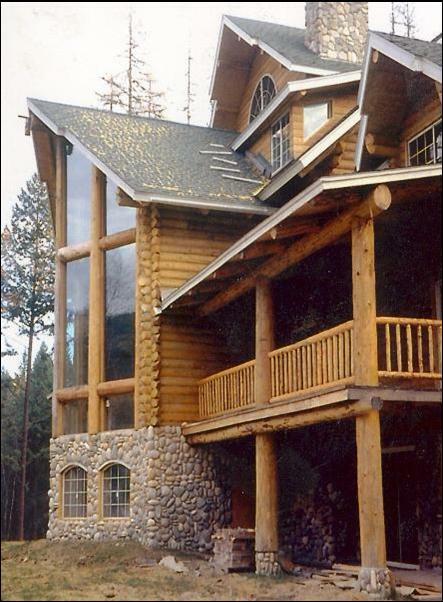 Even when a fire totally burns a 7” log home, miles from a town, no one home. 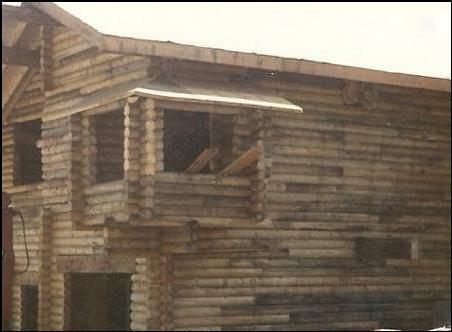 The log walls still stood. Here is one I was called to investigate. 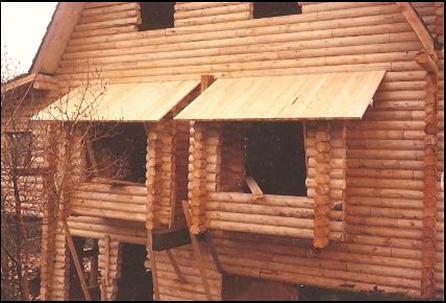 The black spots were lag bolts that distorted the wood, causing air leaks and fire sucked air into home for burning the fuel. Floors and roof burnt, then fell into the basement leaving 2 feet of ashes. The log walls were left, charred inside 1.5 inches into the wood and flame went out. 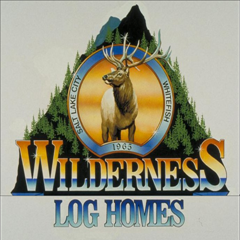 Log walls are not the problem! Worry about the decks, porch roofs, trees, brush, tall grass & roof. The natural water shed saddle notch corner is the strongest interlocking corner systems. Combined that with strong glue laminated logs, acrylic rubber flexible caulking, the lodge pole pine, 6% moisture logs, precision milling, then spiked with sledge hammer, there impossible to pull apart with out destruction. This eliminates settling and air leaks. Whys is moisture important ? What's punky white wood ? 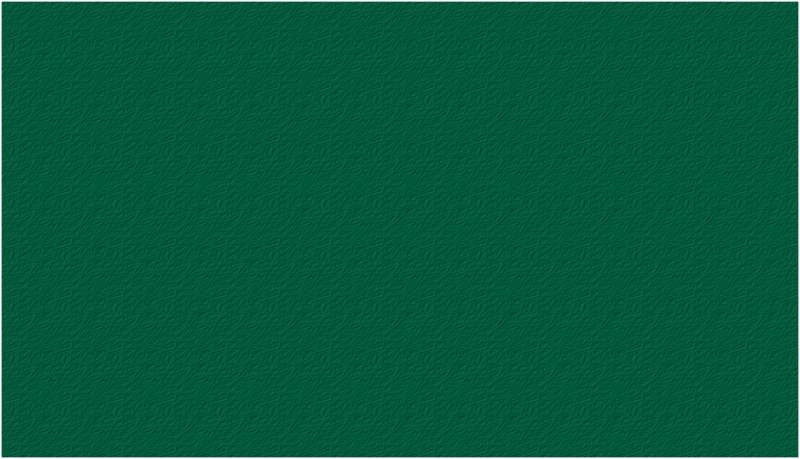 Because green wood is like celery, mostly water, at room temperature its moisture dries down to 6% out west, twisting, warping shrinking, and checking starts taking place at 30%. Kiln Dried is at 19% , How do we eliminate the difference in shrinkage ? We mill at 6% moisture, that's 1/3 kiln dried lumber. What about settling ? things that cause settling, bad or lazy, uniformed builders, moisture and foam gaskets, the species of wood, age of wood, lack of precision milling of the joints. CAUTION he that throws in a bundle of gasket or carpet pad guarantees they settle ? Why we are air tight ? No gaskets or carpet pad needed here on the horizontal joints. We included Sashco product around the notches and window bucks. 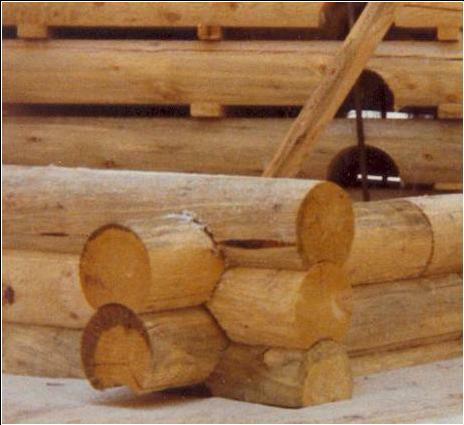 We glue our logs, with glue stronger than wood. Solid glue eliminates more settling. What's the best wood ? 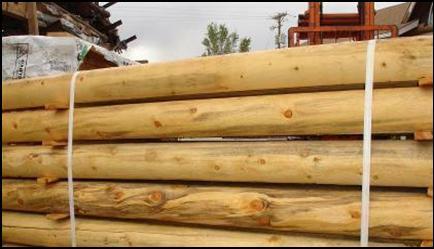 Doug Fir and Lodge pole Pine, firm colorfully, plentiful, renewable, fast growing. 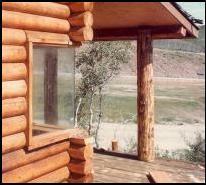 Are Log Walls really 46% more energy efficient ? 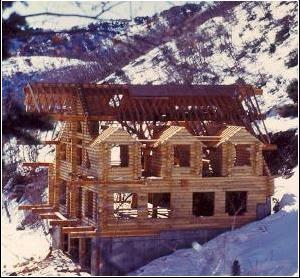 Below Maple Hills Utah 1977, 6000 ft with 7” logs. 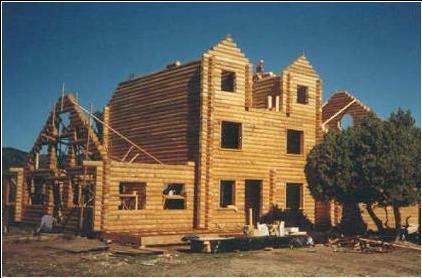 We use the best Wood, Lodgepole Pine and Douglas Fir for walls and beams. We use beetle and fire killed timber, dried near 6% moisture content ...then we precision mill. WE use glue stronger that the wood to join all horizontal joints for air tight seal. We consistently design and build muilti level structures with minimum long range settling problems. We practically eliminate the settling because of the species of wood, strength of glue, secrete way to apply joinery and accurate precision milling and in our western low 6% humidity.